I love finding pieces from the high end brands then getting the look for less. Today’s find is the Miu Miu(2) & Phillip Lim(3) Loafer Flats featuring a sharp pointed toe, I am especially taken by the “borrowed from him” style! 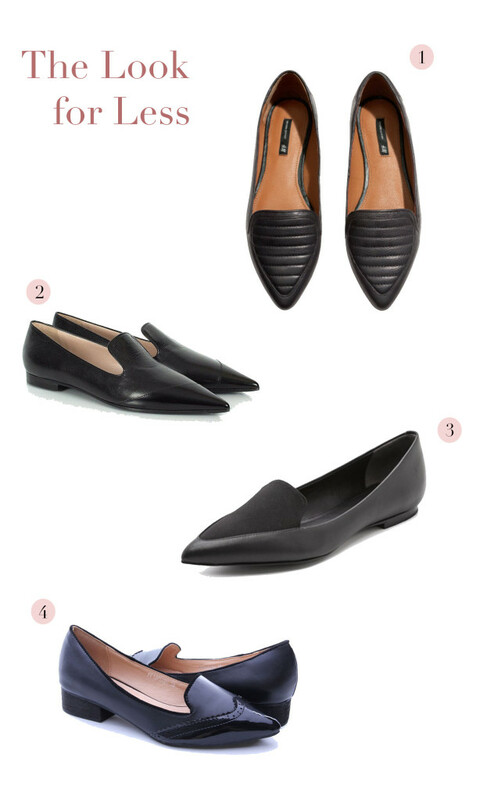 To get the look for less, I found these loafer flats from H&M(1) and Mitju(4), ok, I know they’re not as sharp as the the first two but they do match my pre purchasing examination – Affordable, check. Stylish, check. Comfortable, check. Anything else?